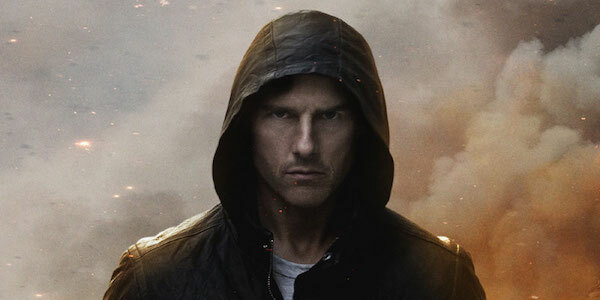 It was already public knowledge that Christopher McQuarrie was brought in to rewrite portions of the Mission: Impossible – Ghost Protocol script to reintegrate parts of the story into the action, but Robert Elswitt went into great detail about what the fourth movie of the Mission: Impossible series had planned for Ethan Hunt. After three movies of fighting the bad guys, Ethan would have taken over IMF, which makes sense given that Ghost Protocol sees the then-current IMF secretary, played by Tom Wilkinson, being killed. From there, a new agent would have taken over as the hero in the field for future movies. Once Christopher McQuarrie came aboard to handle rewrites, that’s when a good portion of Mission: Impossible – Ghost Protocol, primarily the latter half, was changed. This included a scene where Ethan Hunt was speaking with his IMF allies aboard a train, took over the team and laid out everything that had happened and what they will do next. As for who this agent was supposed to take over Ethan’s spot as the main action hero, my guess it was Jeremy Renner’s William Brandt. He was introduced in Ghost Protocol, and with movies like The Hurt Locker and The Town on his resume, it’s easy to see how the creative minds could have envisioned his character as a worthy successor. Brandt came back for Rogue Nation, but because Jeremy Renner was busy in the Marvel Cinematic Universe, he didn’t return for Fallout. Needless to say that Ethan Hunt calling the shots at IMF is a far cry from where we are now with the Mission: Impossible franchise. Ethan is still out in the field and saving the world, and there’s no sign of that changing for Mission: Impossible 7 or 8. Christopher McQuarrie is also now spearheading the Mission: Impossible franchise as both writer and director, and all of the movies that he’s had a hand in have been met with critical acclaim. So it’s safe to say that the Mission: Impossible movies have been in good hands with McQuarrie.